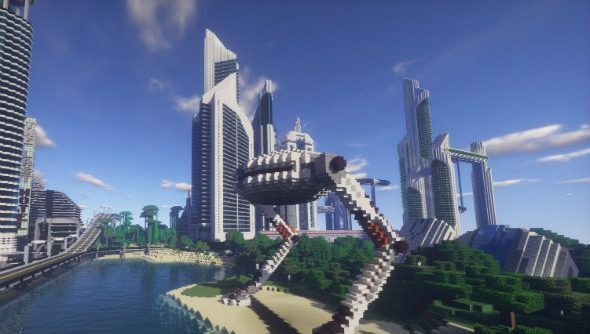 Minecraft players don’t want a Minecraft 2 – or so Microsoft has come to believe. Xbox head Phil Spencer has explained the company’s reason for not shipping a Minecraft sequel with the Xbox One: it’s their belief that players “just want Minecraft to get better”. As part of a discussion with Eurogamer about game compatibility between console generations, Xbox head Phil Spencer predicted that “so many of the large, large games people are playing today are still going to exist when the next hardware comes out”. Enjoy sandbox PC games? Then we’ve got some recommendations for you. Microsoft, who bought Minecraft in 2014, went through their own decision-making process about adding a 2 to the game and developing an all-new sequel – and decided against it. The whole Eurogamer interview is worth a read if you’re intrigued about the future of the Xbox. Here are our own thoughts on what a Minecraft 2 should look like, if we ever did get one, and our coverage of Microsoft’s E3 conference if you missed that.